Liverpool born Jessie Hill first went to Moreton Island in 1903 at the age of four. As daughter of the assistant lighthouse keeper at Cape Moreton, she recalls the school lessons with a dozen other lighthouse children from four families at Cape Moreton and one at Yellowpatch. On Sundays, the children were taken for a picnic down to the beach. After eating, everyone would collect the week’s firewood in the horse and cart. Jessie’s father later transferred to the Department of Harbours and Marine for whom he kept the Cowan Cowan light from 1911 until it became automatic in 1927. He then took charge of the Cowan Cowan signal station. In 1931 Jessie met a young Lancashireman, Harry Wadsworth, who was then holidaying on Moreton Island. The child of a mill weaver, Harry had been raised in the poorer area of the industrial town of Oldham. During World War I he had been a signaller, and later in civilian life became an instrument maker. In 1927, fed up with the tough conditions that existed in England, he migrated to Australia. With the Great Depression affecting Australia too, jobs were almost impossible to find, and Harry moved north from Melbourne to Sydney, and then to Brisbane. It was then that he discovered Moreton Island and Jessie, and fell in love with both. Harry’s World War I experience as a signaller was to prove useful at Cowan Cowan, and he would often help out Jessie’s father at the Signal Station. After numerous temporary jobs, Harry landed a full time job with the Harbours and Marine Department in 1934. As relief lighthouse keeper for the Howard Range and Bulwer lights on Moreton, Harry recalls that he had to walk four miles to work, which included a 400 yard wade through a neck deep swamp while carrying a can of kerosene on his back. Jessie and Harry were married in 1938 and in the following year Harry was put in charge of the Cowan Cowan Signal Station. The couple’s love affair with Moreton Island was to continue for the rest of their lives. It was an idyllic existence – the stuff of story books. A casual, shoeless lifestyle with seemingly endless beaches stretching away in either direction from the door of their comfortable bungalow. Although they had Moreton Island almost to themselves, theirs was not a lonely existence, for quite apart from the constant contact with shipping through Harry’s work as a signalman, Moreton Island played host to a large number and variety of people over the ensuing years. A military fort was built at Cowan Cowan between the wars and strengthened during WWII. A naval station and jetty were also established at Tangalooma then, as well as a road across the island at that point. After WWII a huge demand for whale oil triggered a world wide interest in whale hunting. To help satisfy this demand, a whaling station was opened at Tangalooma in 1952. Over the next decade Harry and Jessie Wadsworth would often play host to the families of the whalers, notably for christmas dinner. The Tangalooma whaling station had an annual quota of 600 Humpback whales. However, when vegetable oils were introduced to replace whale oil in margarine production, the price of the whale oil fell dramatically. Quotas were increased to 660 to offset the price drop but the increased cull served only to deplete the whale numbers to such an extent that in the 1962 season, only 68 whales were taken, and in August of that year Tangalooma closed down due to a lack of whales. 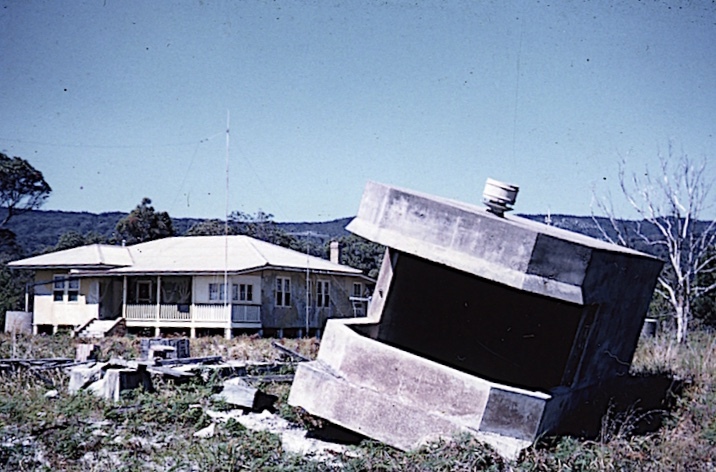 However, this was not to be the end for the buildings at Tangalooma, and in December 1963 the Tangalooma tourist resort was opened. The old flensing deck where the whale carcasses had been dismembered was converted to a tennis court and the factory below to a shop, squash courts, and laundry. Also in 1963 with the closure of the Cowan Cowan signal station Harry Wadsworth retired from the Harbours and Marine Department. Erosion of the shoreline had on three previous occasions forced the Wadsworths to move house. Next to the now deserted signal station was a large cement slab, which had previously been the foundation of a club for the officers of the 1000 men who had been stationed there during WWII. This slab proved to be the ideal foundation for Harry to build a retirement bungalow for himself and Jessie. They named it “Jessanarry”. They played bowls on its extensive lawn, while inside, Jessie now had a home for her extensive shell collection, the result of a lifetime’s beach-combing. 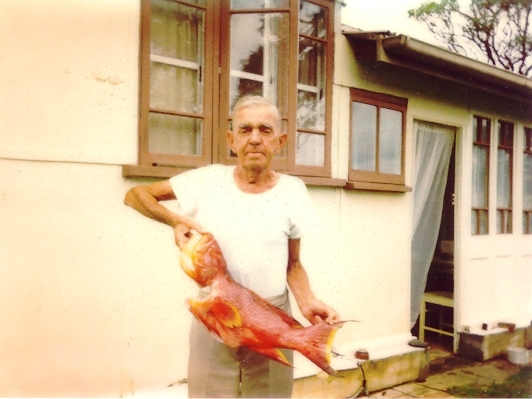 Harry knew Moreton Island like the back of his hand, and, more importantly for his many visitors, where to catch the fish. This knowledge and news of his catches quickly spread to such an extent that prominent identities from businessmen to the Governor himself would take him fishing with them. 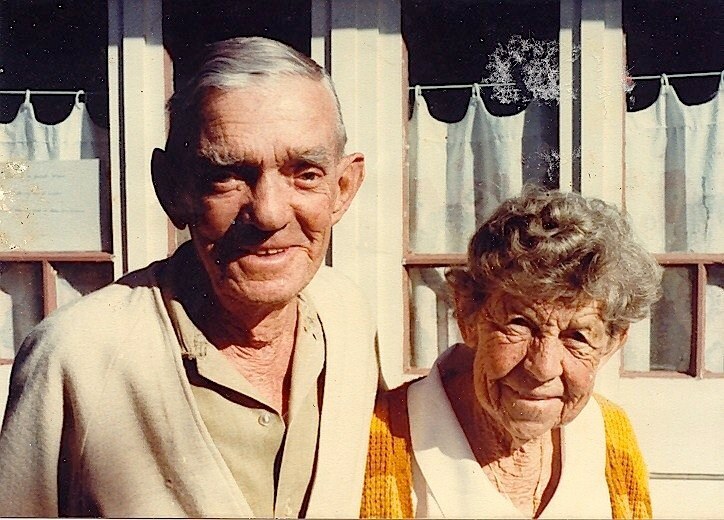 Harry and Jessie Wadsworth became known as the King and Queen of Moreton and visitors to the Tanglaooma resort would ask to be taken up the beach to Cowan Cowan for an audience. Conversely, the Wadsworths would visit the resort once a fortnight to pick up their stores and for a chat. When Harry became sick, because he could not see the water from his house, members of the Moreton Bay Boat Club built him a shelter overlooking the Bay. Adrian Dalgarno, one of the Boat Club members and a frequent visitor to Moreton, recalls Harry sitting there for hours with a tape recorder capturing the sounds of the water, birds, and anyone who came to visit him. Harry died in 1979 after 41 years of marriage to Jessie. She followed him in 1985. During her last years she had campaigned to restrict mineral sand mining on the island and the use of 4 wheel drive vehicles, maintaining that future generations were entitled to enjoy the peace and tranquillity of Moreton’s unspoilt bush and beach. Groups such as the Moreton Island Protection Committee are continuing the fight, which she began.